We are proud to announce an enhanced shopping experience for all of Better World Books global customers. Beginning June 28th, 2018 BetterWorldBooks.co.uk now redirects to BetterWorldBooks.com. This shopping experience now offers more options than ever for our customers. 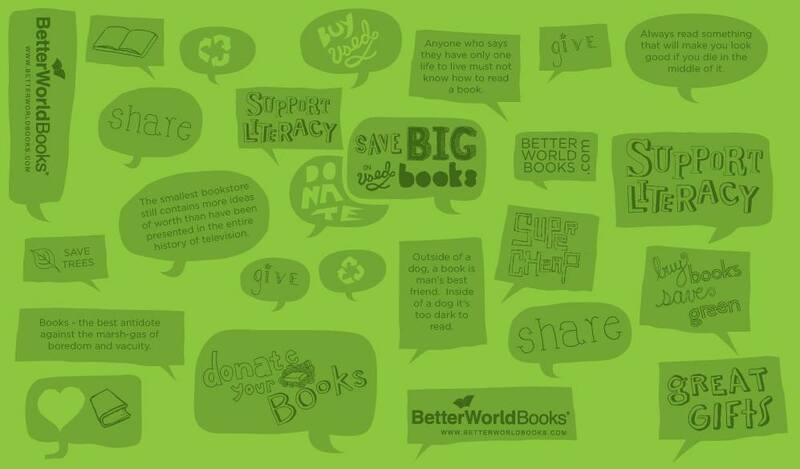 Today you can browse a combined inventory of 8 million used books from all four of Better World Books processing facilities including over 3 million new book and marketplace options. As always you can choose your Better World Books shipping facility by selecting the flag matching your preference on any items listing. Regardless of the shipping location, used Better World Books inventory from any location can be mixed and matched for deals and discounts. The improvements don’t stop there; the future holds even more. Our development team is working on implementing global payment with select new payment options including mobile pay. We’ve listened to your feedback and are happy to share that multi-currency display and currency selection during checkout will also be available in the upcoming months for our customers’ most popular currencies! We are happy to help answer any questions you may have about these changes, as well as your feedback. Either can be submitted to our Customer Care team. For future updates keep your eyes on the Better World Books Blog. Thanks for reading!